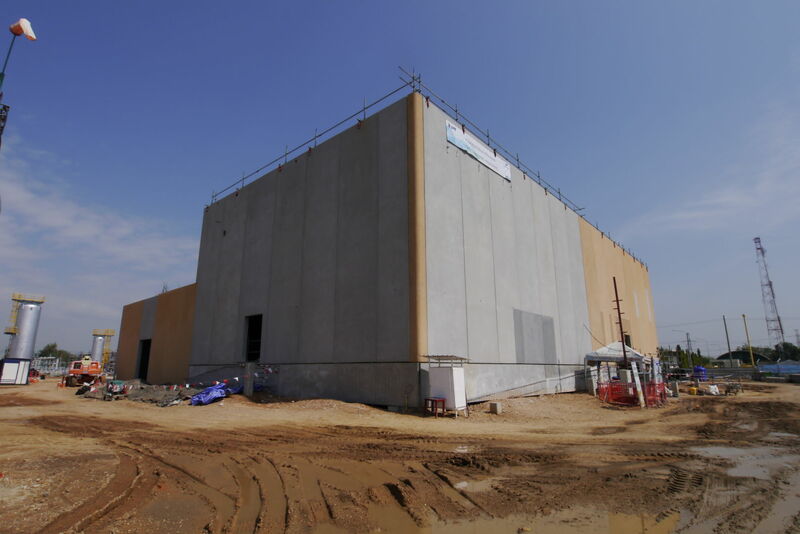 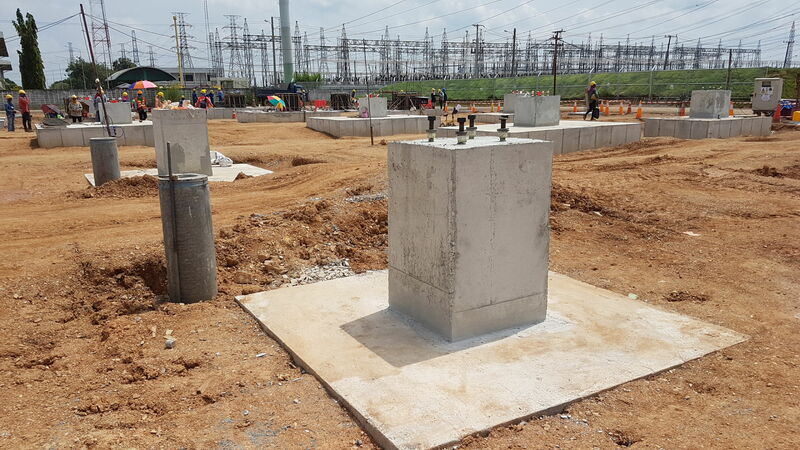 PTT Public Company Ltd develops new gas compressor station in Ayutthaya, about 70 km north from Bangkok. 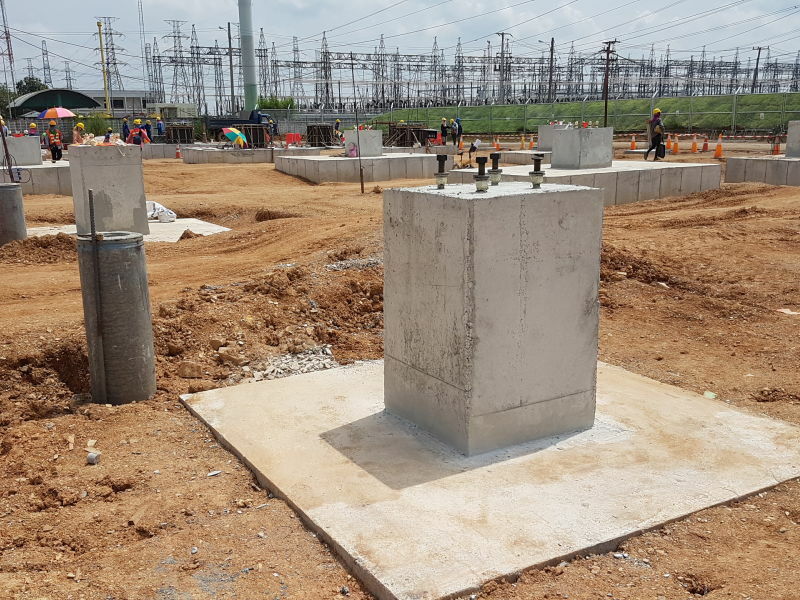 Gas turbine driven compressors with shaft power of 16 MW used in the project will provide additional capacities of 800 MMSCFD gas for Bangkok city. 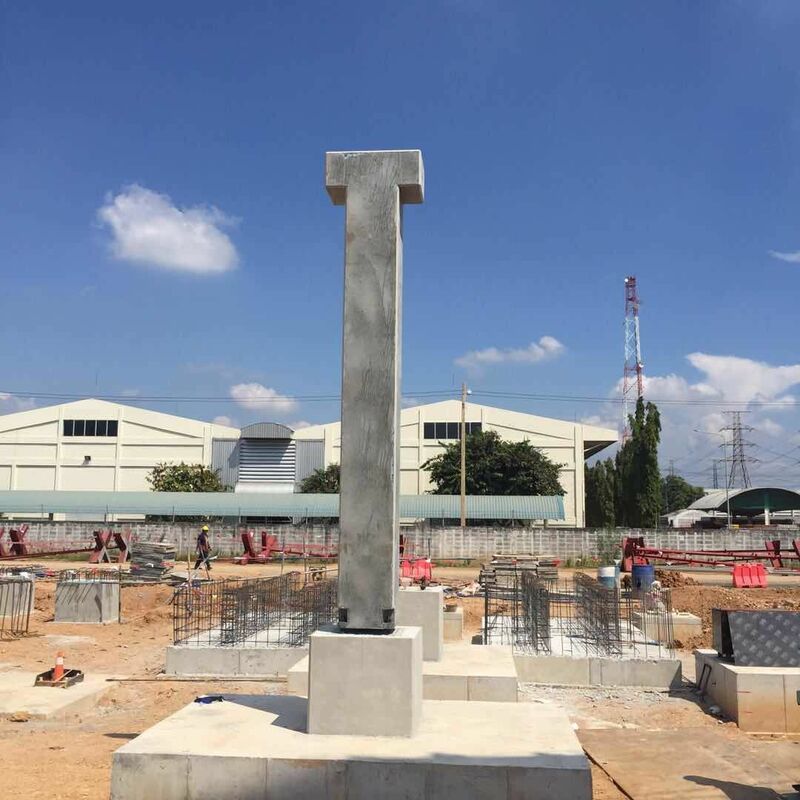 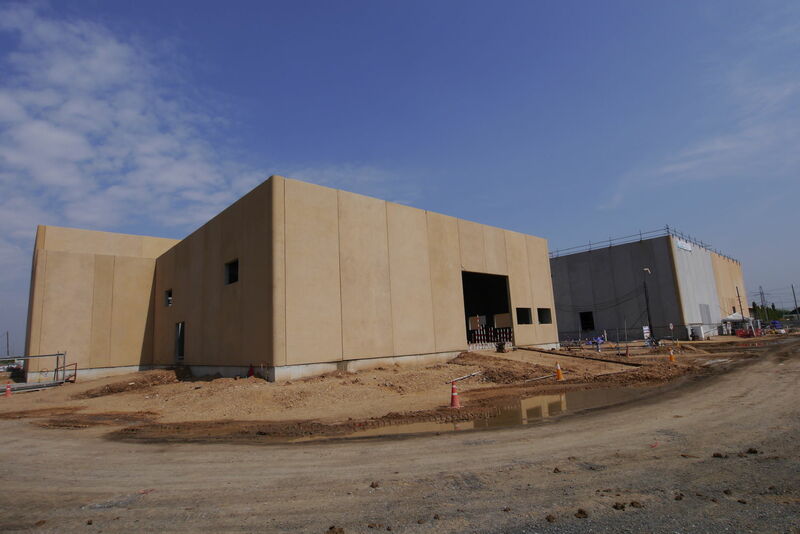 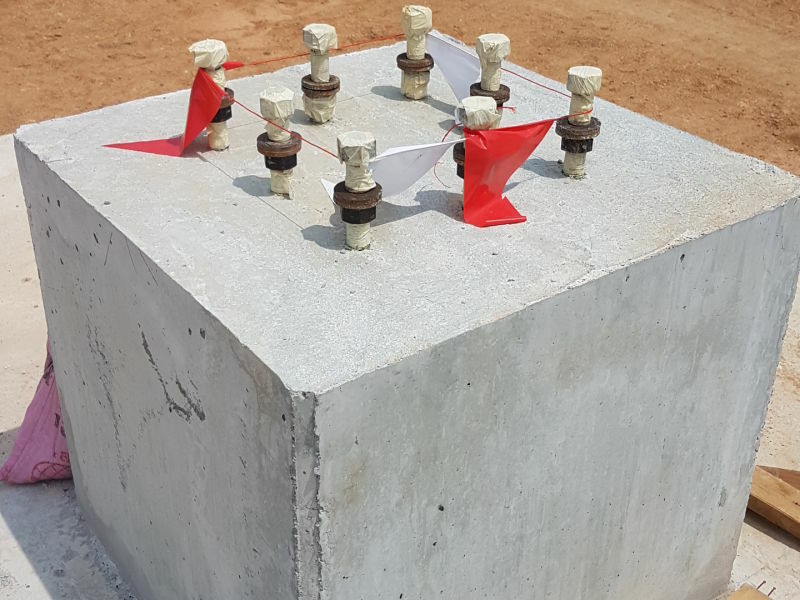 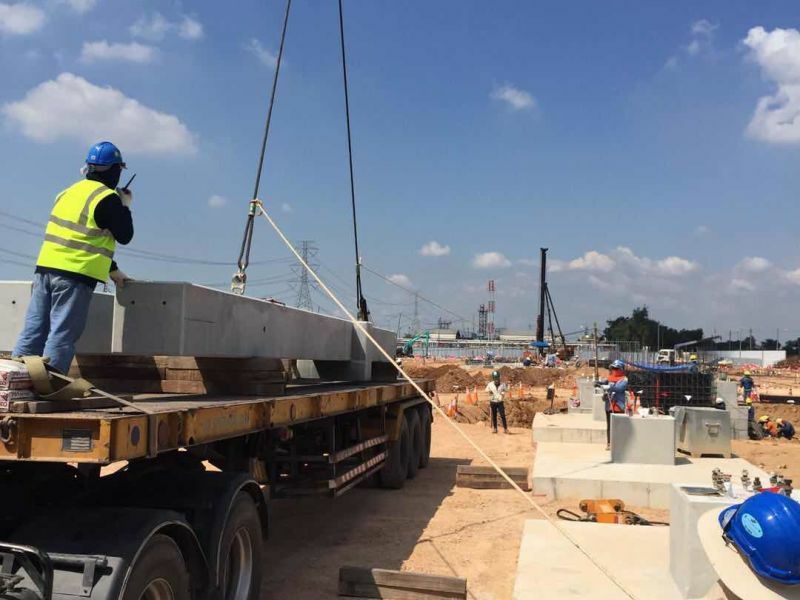 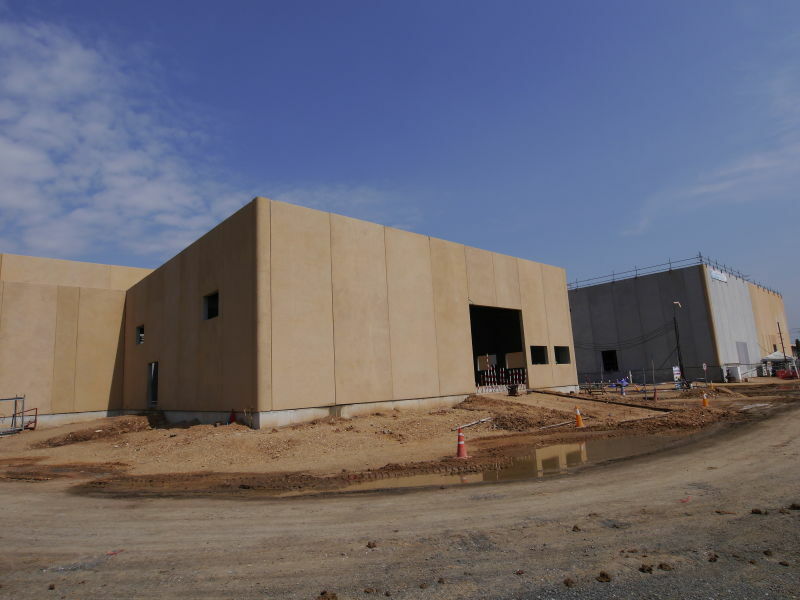 Peikko delivered Bolted column connections for precast columns of integrated control & electrical substation building and workshop/warehouse building in the project. 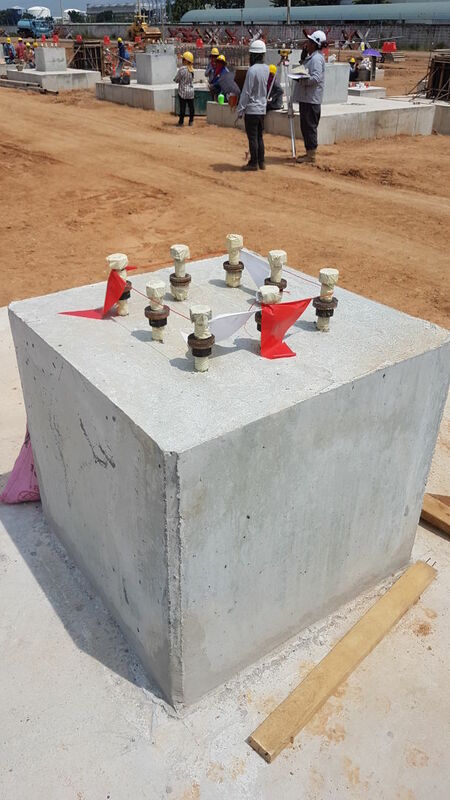 Peikko HPKM® Column Shoes and HPM® Anchor Bolts were used in the project. 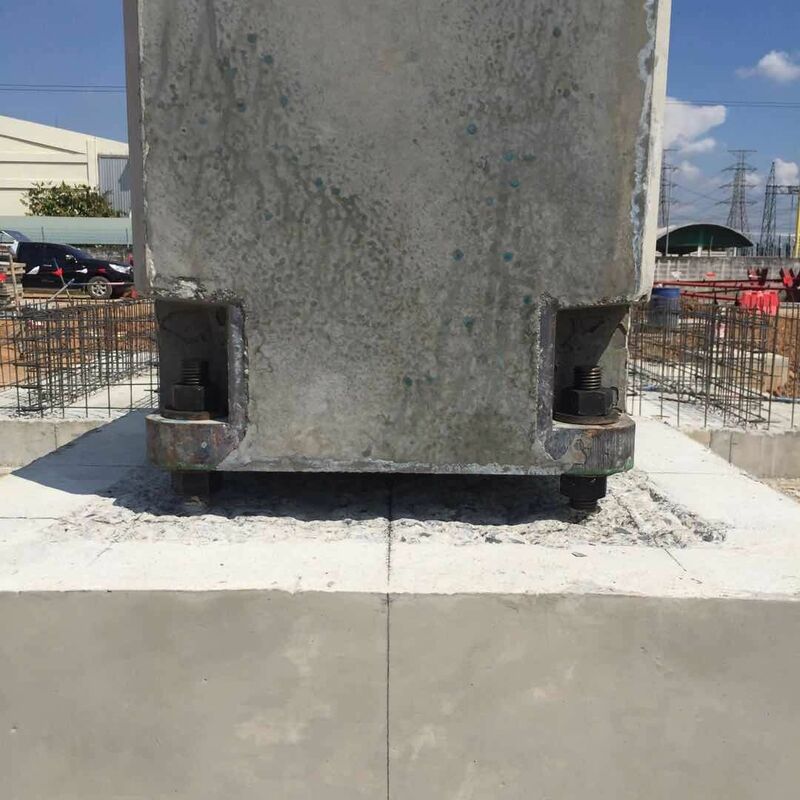 Peikko Bolted column connection is mechanical connection, which allows column erection with a small crew on site and no temporary bracing is needed. 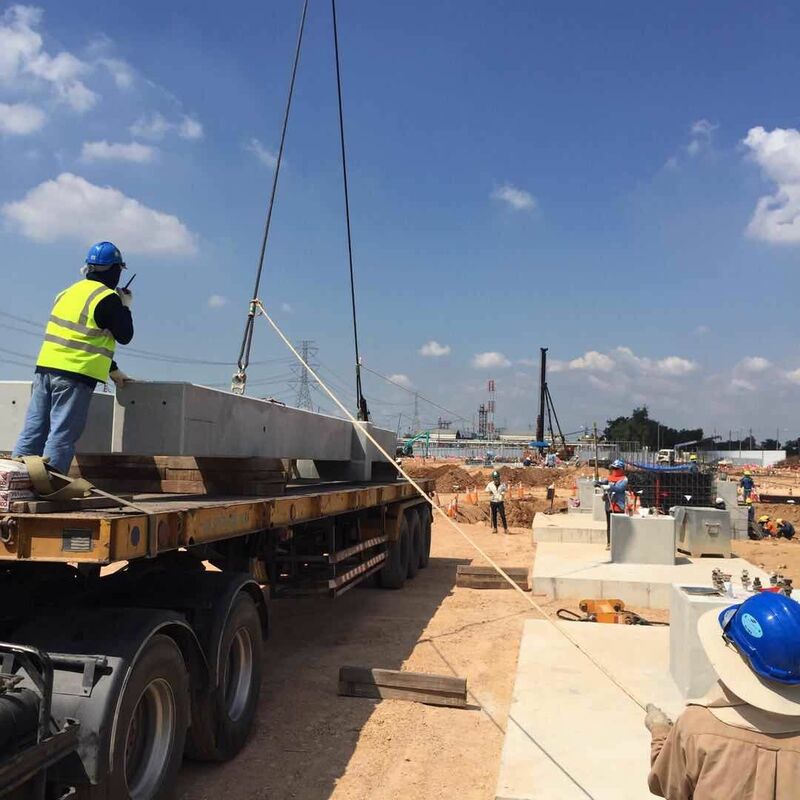 As soon as the nuts are tightened, the connection is moment-resistant and the crane can move on to the next column. 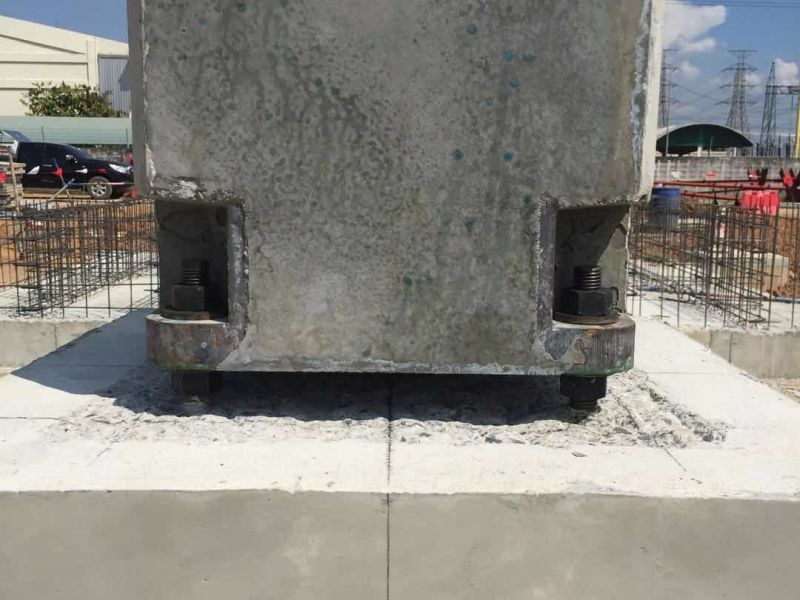 Once grouted, a bolt connection is as stiff as a cast in-situ connection. 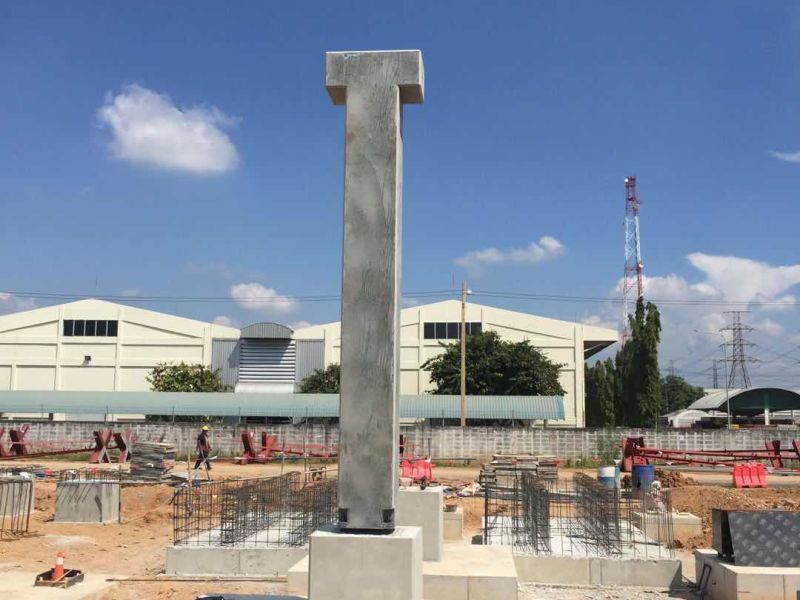 With Peikko system erection of columns is faster and easier compare to conventional ways.